23 year old Markus Smith had been missing since November 28th, when he was the passenger in a car that crashed into the Neches River on the Polk County side. 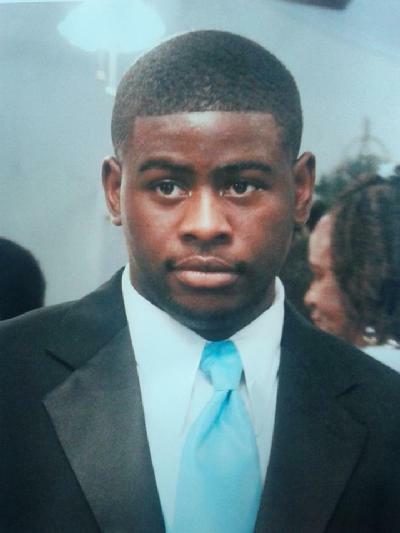 Body Recovered After 13 Days in Neches River, NORTH POLK COUNTY, December 11, 2015 - Late in the afternoon on December 10, 2015, a passer by came upon the body of a 23 year old Lufkin man that had been missing since November 28th. On that day (November 28th) Markus Smith was the passenger in a black 2014 Dodge Challenger (driven by 23 year old Adrian Segura, of Lufkin) that was north-boud on US-59 in North Polk County. Segura's vehicle left the pavement and drove down the embankment and ultimately ended up in the Neches River. Segura managed to get to safety, Smith wasn't as fortunate. Smith's body finally surfaced (perhaps aided by warmer temperatures) and was found about 200 yards from where the car was pulled from the river. Troopers, Game Wardens, and Diboll Police assisted in the recovery.